LITE2.0 TALE-CIB1. 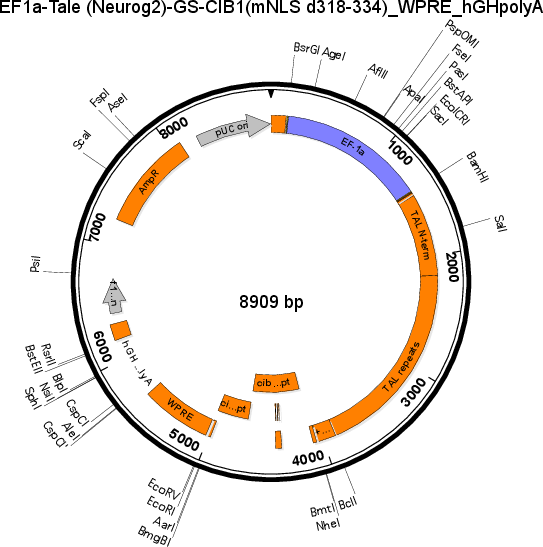 Changes from LITE1.0: glycine-serine linker, mutated endogenous NLS, aa318-334 deletion. 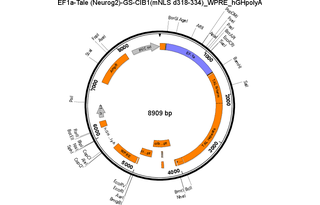 This particular TALE targeted to Neurog2. EF1-alpha promoter for ubiquitous mammalian exp.